Drivers are an understated part of the computer system. Usually, when things start to go wrong with the system, outdated drivers would usually have something to do with the problem. 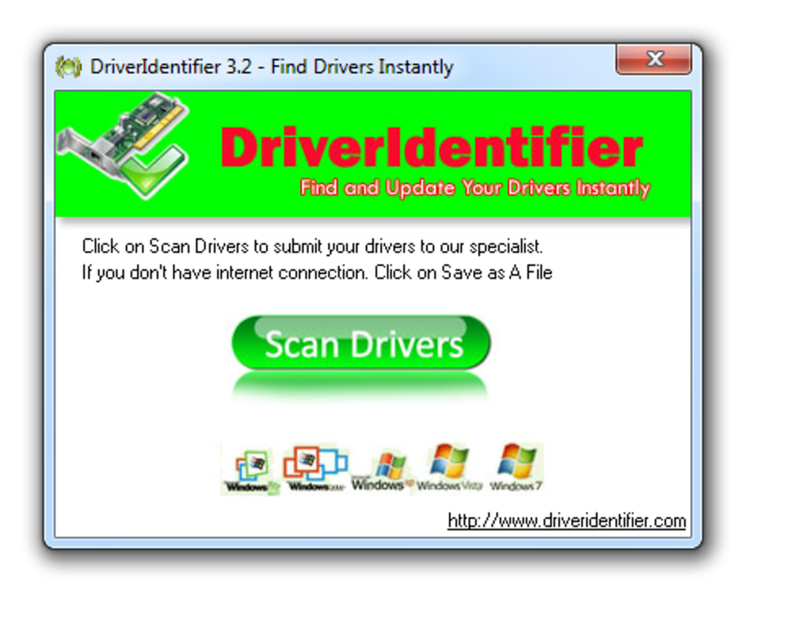 DriverIdentifier is one of the best tools to use in order to check the status of your drivers. Once installed, all users would have to do is click Scan and the scanning process will begin. The scanning process is quick and it doesn’t take up much machine or network resource. The results are listed in HTML format, but it does show clearly what needs to be updated or downloaded. Ultimately, this is a good program to have around. DriverIdentifier meets my need. I discovered 3 weeks ago that my nice Vaio had a trojan downloader, so began a process of search and destroy, and updating drivers on my machine. Many of these things are easy, working through Windows Update and the Sony website for OEM drivers. but neither source covers everything. I tried five of these driver scanner programs, and got no satisfaction. Either they locked the computer up and failed, or they could not cope with our proxy werver, or they want $29.95 before they would download anything. This program and the website behind it worked after two minutes of installation and contacting their Driver Library, offering free drivers for the download. Updated computers are much less virus prone, and are more stable. Who needs computer games when there is so much to do to keep a computer in good running condition and well backed up?? 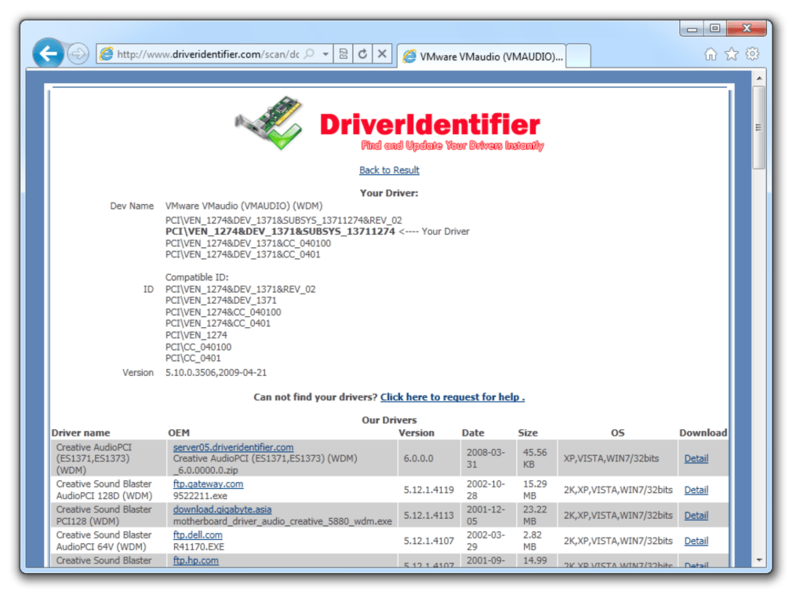 It is quick and simple, offering plenty of options and requiring a good basic understanding of what a driver is a how to download and install them. Free, donation optional, makes me feel inclined to give as it will ultimately save me heaps of time and potentially make my computer a better machine. It is simple and requires some computer abiltiy, not having all the automatic download/install and backup features of other software in this class. 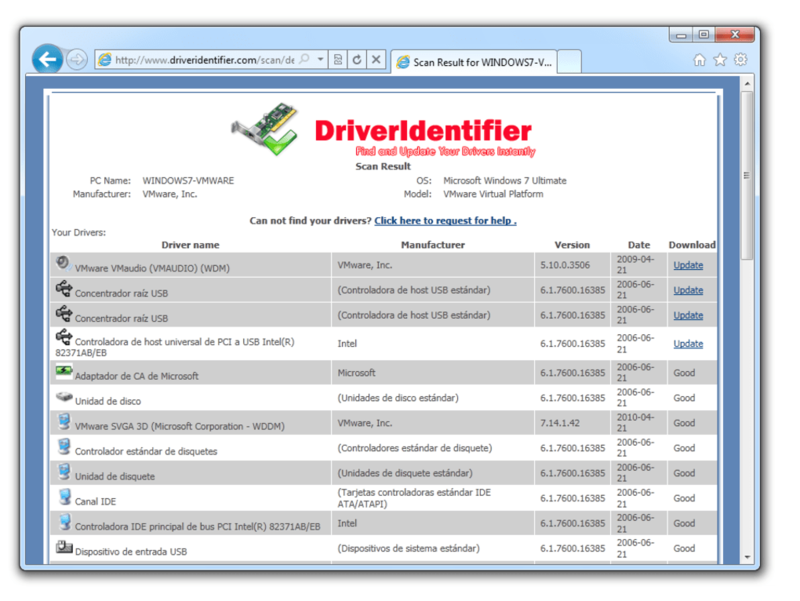 What do you think about DriverIdentifier? Do you recommend it? Why?